I'm new to this forum, and I'm not sure this is the right category to post this, sorry if it isn't. So, I love my RX5, but I became quickly limited by the small amount of onboard sounds, so I started searching for waveform cartridges. I quickly found out that there were few of them, and they were rare and expensive. I know quite a bit about programming, electronics, and that sort of stuff so I thought: what if I could make a programmable waveform cartridge? I bought the cheapest cartridge I could find: the RX5 ROM, which apparently was sold with the RX5 itself, and started to dump it. Inside there's two 1 Megabit mask roms of relatively standard pinout, each chip contains an independant sound bank. Sound banks format is relatively easy to understand: there's a header with one 32 bytes entry per sound, sample rate is 25Khz, and samples are either 8bit or 12bit signed PCM (two 12 bit samples being packed in 3 bytes). My design is based around a "Teensy++ USB Development Board" ( http://www.pjrc.com/store/teensypp_pins.html ) and a 4 Megabit flash chip: the SST39SF040 ( http://www.kesaitech.com.cn/gb/files/39SF040_020A_010A.pdf ). 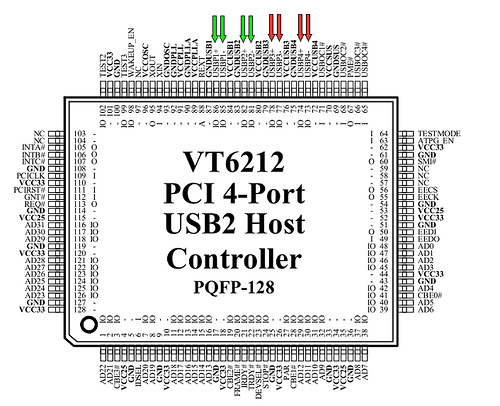 The flash chip replaces the 2 mask ROMs, and the Teensy board is used to program it through USB. I took advantage of the ridiculously small price difference between 2 Mbit and 4 Mbit chips to add a "side" switch to my design, so that you can change which pair of banks the RX5 will access. The schematics work on breadboard, but I haven't tested the PCB board yet (still being printed). I also coded a computer app to edit and program the sound banks, it's in lazarus (object pascal), Windows only right now, but it shouldn't be very hard to port it to other systems. I'm quite close to a first binary release, which will probably happen this year. I also hope someone will dump the Yamaha WRC cartridges, so they are available to anyone, and that sound banks made with my app will be freely available, tho You are free not to release them. Phew that was a lot of typing ! Hi gligli, this is great! I have a few RX5s, and would be interested in being able to load new sounds. One of my RX5s already has the Robin Whittle mod (EPROM chips added internally) with some extra sound banks available. I would be happy to be a beta-tester for you. I have a spare teensy already - once you have confirmed the PCB layout works could you send me the .pcb file so I can get one etched and build the interface? I got my printed PCB yesterday from a friend, it didn't print very well but I fixed the damaged tracks, should be ok as a test PCB still. Also I had a few occasional sound clicks with the breadboard, but none yet with the PCB. There should be everything you need inside, in English and French. I won't make fully assembled cartridges or even PCBs, but anybody can, even if they sell it. They only have to publish their changes under the same license I used (GNU GPL v3). Does anyone run your Editor Software under OSX on Mac? any special requirements or instructions on how to do it? I'm very interested in this, I'd certainly buy a pcb if someone made one! Also, I have the WRC-04 cartridge, how would I go about getting the data off? Posted: Tue Aug 20, 2013 6:47 am Post subject: Housing? So, I'm getting the parts together to build one (or more) of these, but I'm at a loss as to how to house it... I want to use the machine live so it's a serious consideration before I use the PCB layouts here... any ideas? Posted: Mon Oct 21, 2013 5:07 am Post subject: it's posible? Hi, in new here and sorry about mu english. I follow this theme and in very interesantes. I hace a rx7 and I want to add it more wounds. My cuestión is if I could make easyly a similar cartridge with this PCI. Is there any chance of buying one of those cards? PS: I love the rx5! There’s a japanese guy called pharmasonic who manufactured a bunch of these and has them listed on a japanese Yahoo auction. If you want to wait 3 weeks and pay an extra 70 dollars for shipping and customs, only to receive a caseless device which dangerously hangs out of the back of the RX5 and obviously never worked properly in the first place, then go right ahead and buy one. Otherwise you should save yourself a lot of aggravation and get down to [EDIT - making your own from GliGli's surely awesome designs] - buying a RAM4 or loading voices via an editor and sysex, because that is definitely where you will end up eventually. He has an auto responder on his email support which whinges about ill health. I genuinely hope whatever ailment he has gets much, much worse, or he contracts something even more painful, soon. Gligli your RX5USB and software is awesome, lots of fun! Sorry for pulling up an old thread but can't find the answer anywhere. I have the Yamaha RX5, a RAM5 data cartridge and a Gligli RX5USB device made by Pharmasonic. I have successfully loaded some sound banks onto the RX5USB which i am able to use in RX5 via key assign. I am trying to save these voices to the RAM5 for later use, though when I try to load voices from RAM5 back to RX5 experience error message ‘format conflict’. I have switched off multibank mode and formatted all 4 banks individually. I was wondering if anyone has been successful in saving voices from a RX5 voice cassette (or RX5USB) to a RAM4/RAM5 data cartridge and then retrieving/loading these voices? Any tips or what am i doing wrong? I’ve read the manual and followed instructions.